I would like to mimic the location of my primary VPN by the second VPN ("slave"). My mobile internet and data comes from Finland because it is cheap. I need to connect to my school's VPN server in Sweden. My school allows only connections to their server from Sweden with password+username (no certificates). They have a firewall which blocks connections coming from outside of Sweden. Internet is gained with a mobile-connection of Telia-Sonera of Finland. First VPN connection allows access to institutional materials ... but it requires local IP is in Sweden. I give them my username+password but they have extra security with local IP. Second VPN ("Slave") is required to change local IP from Finland to Sweden, but current VPN providers give only ppp0, no dynamic IP and no split tunnelling. Unfortunately, it is not possible to have multiple VPN connections active on same computer at the same time. - - No, you can not change the subnet details assigned for you. - - NordVPN routes your entire internet traffic through VPN, thus the only option for two VPN connections is to set up one VPN connection on a virtual machine. - - No we do not support split tunneling. VPN - Tor (NordVPN Tor Sweden). Daniel proposal. This does not work; uni connection is rejected. My NordVPN connection works with their NordVPN App found somewhere on NordVPN web server. My VPN connection to my school does not work with my NordVPN connection because of the firewall and problem having two VPN connections with the "mass market VPN GUI". 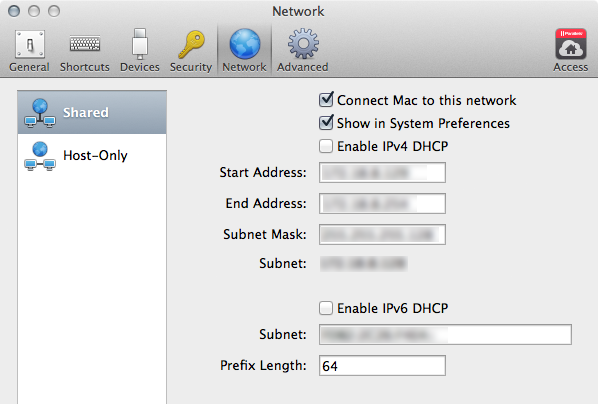 OS X System Preferences > Network > (+) > VPN > VPN Type PPTP to connection to school server. If my local network is not in Sweden, connection is not accepted. I should take another VPN connection to Sweden with NordVPN. 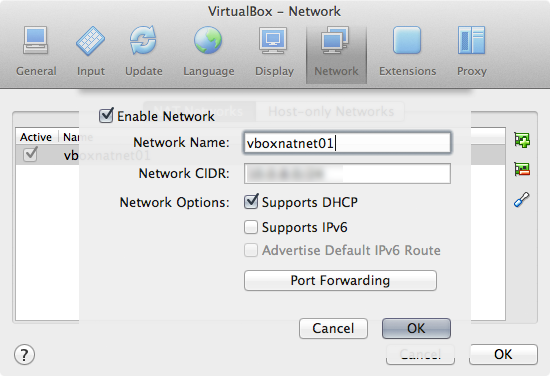 However, I cannot keep two VPN connections active with two separate VPN programs: OSX VPN GUI + NordVPN "mass market VPN GUI". OS X El-Capitan Tunnelblick for both VPN connections? Unix way approach is discussed here about the topic in How to Do Split Tunnelling with Slave ppp0 VPN + 2nd VPN? After some extensive testing the only solution I got to work is a VM setup. Setup the NordVPN GUI client or Tunnelblick and connect to the Swedish VPN-server (preferably with an openvpn connection). Often VPN-providers use a NAT firewall - which means you are first connected to an internal network. You can get the network with ifconfig. In your above example that's a 10.0.0.0/8 network (10.250.250.88 --> 10.250.250.1 netmask 0xff000000). Check that all network traffic is sent to the VPN provider. Set up the NAT network of the hypervisor with different network settings than the internal network of the VPN provider, your own network and your school's network. Create a new VM hull and attach it to this NAT network. 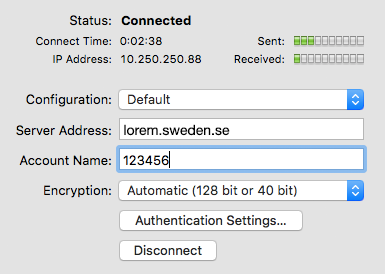 Set up a VPN connection in the VM to your school's VPN server in Sweden in the VPN in System Preferences -> Network, shut down the VM and quit the hypervisor. Not the answer you're looking for? Browse other questions tagged network el-capitan vpn . iPad - Setup both PPTP and L2TP VPNs - blocked by firewall - can I use the 'Proxy' settings to evade? How to see VPN connection statistics?